‘The volume does not contain a recognized file system’ is a common problem in Windows 10/8/7 that may occur to any storage medium unexpectedly, including USB, SD card, external hard drive, etc. There are a lot of reasons behind the problem. The issue is very annoying as it prevents you from accessing your data. Fortunately, it is fixable and the inaccessible data can be recovered as well. This is one of the most common cases of file system not recognized problem. It prevents you from accessing your data stored on your hard drive. When you double-click on the hard drive partition, a dialog box appears telling you that the partition is not accessible. You also see 'the volume does not contain a recognized file system' error. You can do nothing about it expect clicking 'OK' to close the error message. Formatting the drive is the only solution that works. The second case is the error that usually occurs when you try to access your external hard disk. Hard disk suddenly becomes RAW, which means it has no file system. Because of this, the operating system cannot read it, hence preventing you from accessing your data stored on the drive. Just like the first case, the solution to this problem is also formatting. The third case of stored data becoming inaccessible occurs with USB devices. This could occur due to several reasons and the solutions vary depending on the cause of the problem. You can try changing the USB port, unplugging and the plugging again, etc. Formatting could also work but you will lose your data. Recover Your Files Before Fixing "The volume does not contain a recognized file system"
Although you can solve the problem very easily via formatting or any other solution, your stored data may be lost. So, you need a way to recover and back up your data first before you attempt the fix. Fortunately, recovering data is easy with the help of iMyFone AnyRecover. The software is 100% safe to use as it won't overwrite any existing data throughout the recovery process. Recovers inaccessible/deleted/lost/ files from any storage medium, including hard drives, USB flash drives, camcorders, smartphones, memory cards, etc. Recovers data no matter how it got lost or deleted e.g. system crash, hardware malfunction, virus/malware attack, accidental deletion, etc. Recovers any type of files instantly. It supports recovery of 1000+ file formats. Supports almost file systems, including FAT, FAT 32, exFAT, NTFS, etc. 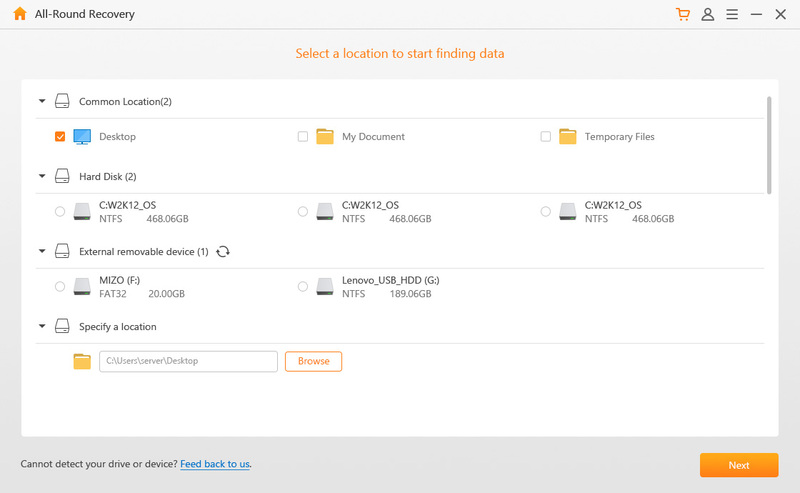 Recover deleted data within 3 simple steps; choose a recovery mode, scan the selected storage medium, and then preview and recover deleted data. Step 1. 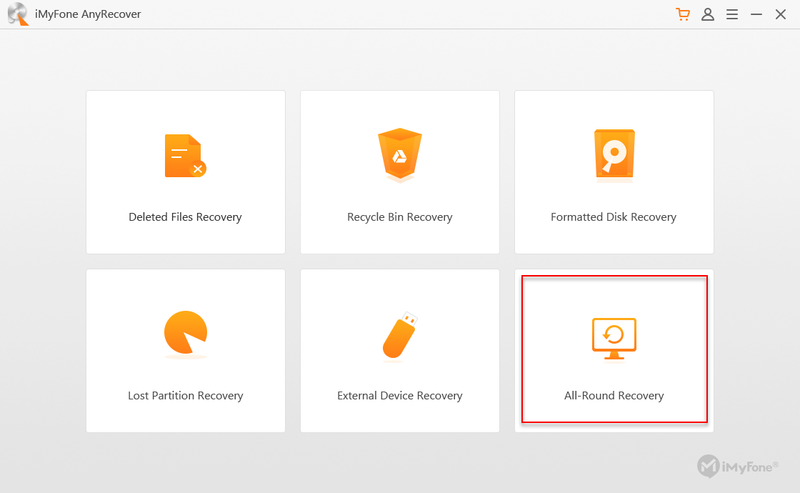 Once the software is launched, click on All-Round Recovery mode from the home interface. Step 2. Select the location from which your wish to recover data, then click "Next" button on the bottom right corner. Step 3. 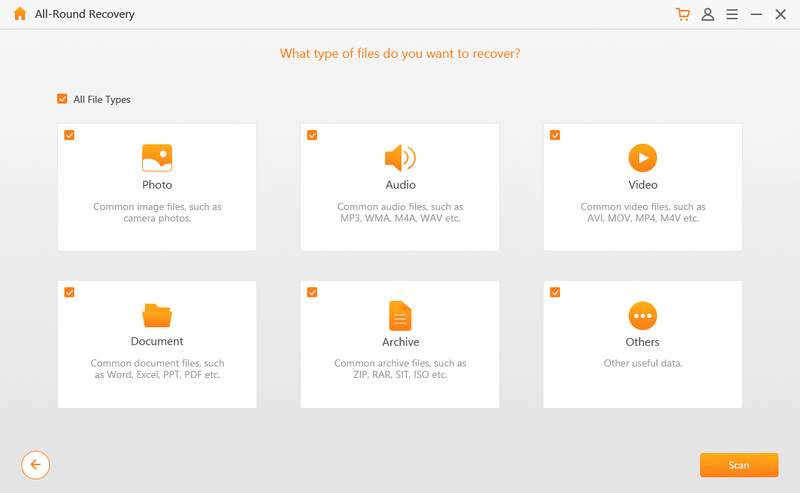 Next, select the file types you wish to recover. 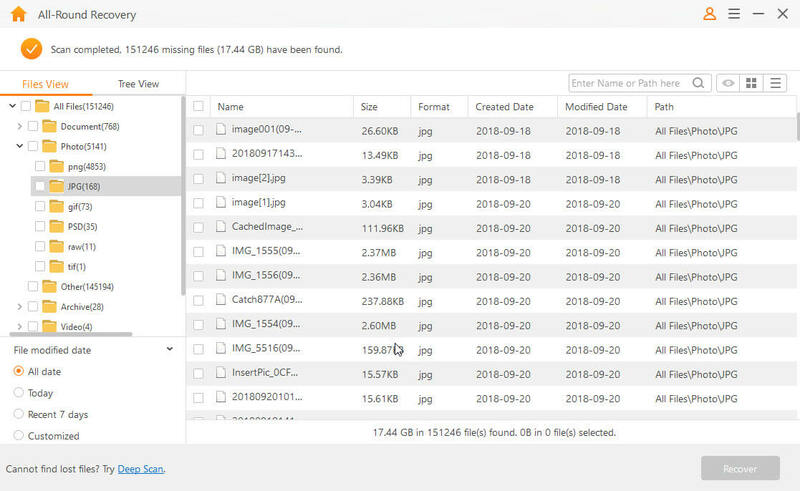 Click the 'All File Types' option when you plan to scan and retrieve all kinds of files. Step 4. After the scanning process, you'll be allowed to preview the scanned files. What you need do is to select them and click on Recover button on the bottom right corner. Your selected files will be recovered several minutes later. Formatting the volume in a compatible file system i.e. NTFS will solve the problem. Keep in mind that it will erase all data stored on it. 1. Open Windows Explorer and navigate to the Volume you want to format. 2. Right-click on that Volume and then click on the 'Format' option. 3. Now choose NTFS under File system, and check the Quick Format box. Once you've done the above steps, the volume will be formatted instantly. 1. On your Windows PC, launch Control Panel. 2. Navigate to System > Device Manager. 3. Once there, find and click on Universal Serial Bus controllers. 4. After that, right-click on the USB component that you want to update, and then click the Update Driver Software option. 5. 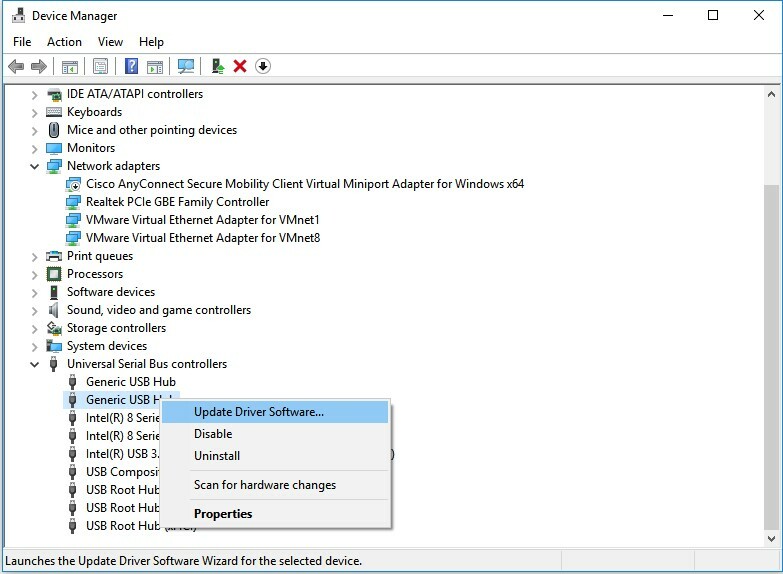 Now follow the on-screen instructions to update USB drivers. Fixing 'the volume does not contain a recognized file system' problem is very easy as all you have to do is simply format the partition. However, doing so may erase all your stored files on it. So it's necessary for you to recover your files first using iMyFone AnyRecover before proceeding. Only in this way, can your valuable data be safe.